Brittnee Belt & Cash Callaway Miraculous! 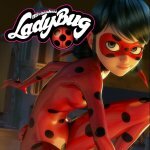 Miraculous - Tales of Ladybug & Cat Noir opening (Inglés), versión 2. Con dueto.